Melbourne Marlins, a group of Year 5 swimmers from MJS who were challenged to "SWIMLIKELEWISWHITE". 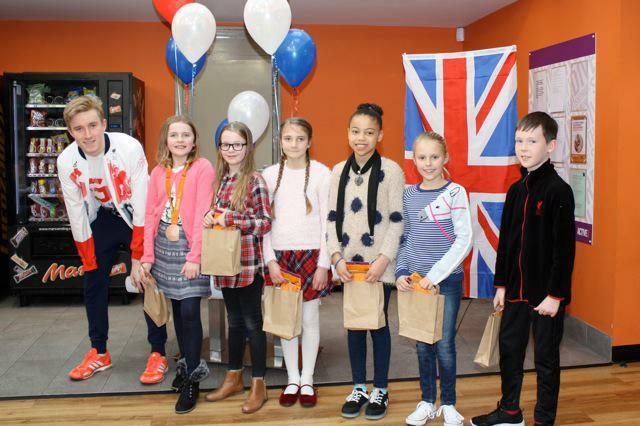 Lewis White is a paralympic swimmer who still attends The Pingle School in Swadlincote. As part of their weekly swimming lesson at Greenbank Leisure Centre, all the children were challenged to swim 400m as a relay team to see if they could beat Lewis' paralympic bronze medal time of 4 minutes 21 seconds. All the swimmers took part. The "Melbourne Marlins" produced an amazing time of 6 minutes 55 seconds for the 16 lengths, with each swimmer swimming at least 3 lengths of 25 metres. Not only were they the quickest team at MJS, their time was the quickest out of all the schools who participated in the the challenge.